My favorite subconscious reprogramming and manifestation technique is visualization in a sleepy state. I have used this technique countless times and it works every single time! Since everything is created through the mind, visualization is extremely effective because it literally creates your desire in your mind. You have to remember though that the version that’s created in your reality depends on the thought-feeling feeling combination that you consistently focus on. When you visualize being with your loved one but you consistently vibrate at the frequency of fear that they might have already found someone else — and you consistently play images of them being with someone else in your mind — what happens is your fear becomes your dominant thought-feeling combination. Fear is so far away from the vibrational frequency of your desire, which vibrates at love. With constant repetition, this thought-feeling combination gets stored in your subconscious, and since fear is miles away from love, you will never get your desire. 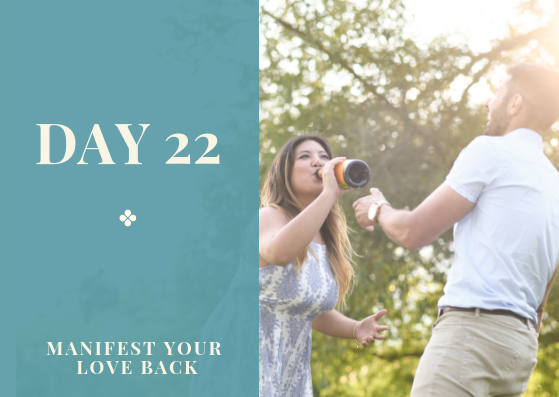 If you visualize being with your ex and giving your desire substance using the vibration of Unconditional Love, love becomes your dominant vibration. This vibration is also the same as the vibrational frequency of your desire. You become in alignment with your desire in this case. Through repetition, this thought-feeling vibration gets stored in your subconscious and then executed as the highest version of your desire. 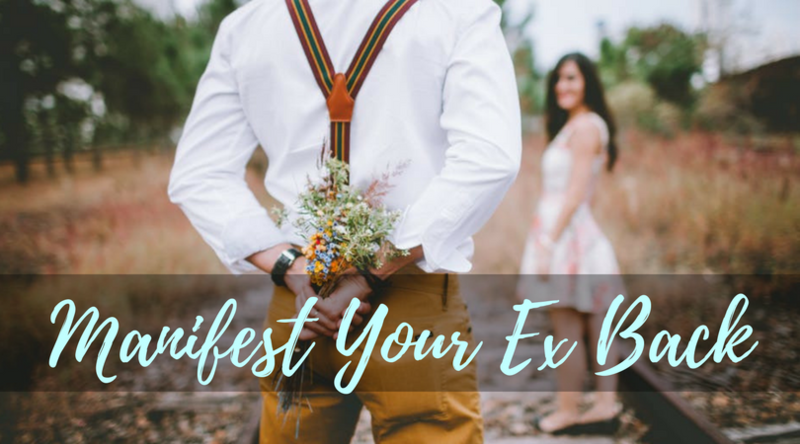 When you visualize, do it as if you have already reunited with your ex. Write down different scenarios about being together, living under the same roof, going places, traveling, etc. Make sure you have positive vibrations when you visualize. More importantly, send your ex Unconditional Love. It is important to visualize in a sleepy state. When you are in a sleepy state, your Conscious Mind is weak. Remember that the reason most suggestions don’t go through the subconscious mind is the conscious mind keeps filtering or blocking these new suggestions. When the conscious mind is weak, it no longer has the ability to filter or block the suggestions. The sleepy state is the perfect state to let you imprint your new suggestions to your subconscious. The more you visualize in a sleepy state, the faster your new suggestions/beliefs get accepted by the subconscious.